We are leading Plastic Corrugated Box Manufacture in Chennai. 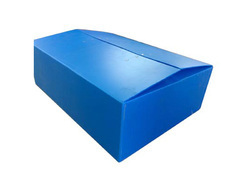 We take pleasure in introducing ourselves as leading firm by offering Polypropylene Box. We manufacture a wide range of PP Corrugated Boxes which are completely customized and in different patterns as per the requirement of our customers. Also, the boxes can be partitioned with Polypropylene Corrugated Meshes to stack inside multiple quantities of various products such as Automobile parts & other Molded Parts. Owing to the wide experience of this domain, we are instrumental in offering HDPE Corrugated Box. Corrugated PP crates and boxes extend customized solutions further with more specific usage in diverse industry needs. The PP Corrugated crates and boxes are most aesthetically designed without metal or glue, light weight, environment friendly and importantly, PP Corrugated crates and boxes are foldable to render space saving. 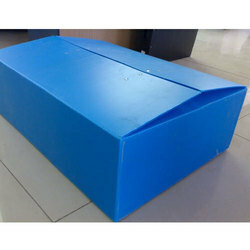 Relying on our expertise in this domain, we are into offering Polypropylene Box.